Are you looking for fast and effective Houston oven repair service? Stop searching and give us a call. We excel at repair services for many ovens makes and models. Great service begins with experienced technicians. We hire the best. We have complete confidence in the skilled specialists we enlist. You will find it hard to find techs that work any harder. They will fix and install gas ovens. Every technician we work with repairs ranges, stoves, and microwave ovens. We are committed to quality. Get in touch with Appliance Repairs Houston today. 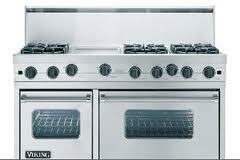 Many people want a pro to provide accurate and safe gas oven installation service. We can send you a skilled expert to do the job. It is essential that these ovens are installed correctly. Bad installations lead to future problems. Avoid letting this happen to you. Give us a call and we’ll have a gas oven service pro install your unit properly. Let us ensure superior stove and range repair in Houston. Whenever you’ve got problems with these appliances, we enlist pros to fix them. Our company only works with skilled specialists. We are confident these techs will treat you right. They keep a variety of replacement parts in their service vehicle. They work on gas, electric, and microwave appliances. Call us today and get outstanding range or stove repair. Some people love their microwave ovens. They depend on reliable microwave oven repair service in Houston, Texas. We are the company to call to make it happen. The techs we hire are qualified to fix all microwave makes and models. If your microwave breaks down, don’t panic. Simply give us a call. We’ll send a certified technician to provide microwave oven repair for you. We enlist skilled specialists to administer top rated electric or gas oven repair. They will respond the same day to fix your appliances. You can trust these oven experts to do the job efficiently the first time. Make our company your first choice for oven repair in Houston, Texas. 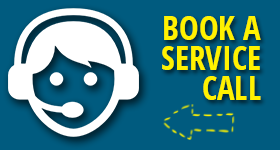 We promise to offer quality service at a competitive rate. Place your call right now.